The right hand side of your prescription form can be used to order your medication by ticking the items required. This should then be forwarded to the surgery by post or by placing it in the box at the repeat prescription counter. A stamped addressed envelope must be provided for any repeat prescriptions which are to be returned by post. You can also make arrangements with your pharmacy to order for you. Alternatively you may order online via the link at the top of this page. New users are required to complete a simple registration prior to using this service. When ordering Repeat prescriptions the free text box on the ordering screen is so that you can specify which Chemist you would like your prescription to go to, if you do not want to collect it from the surgery. Patients on repeat medications are usually required to attend the surgery for regular check-ups. The Tile House Surgery is registered for the Electronic Prescribing Service - this means that you are able to nominate a pharmacy and your prescription will be sent electronically to that pharmacy. So you will no longer need to come to the surgery to collect it. To complete a pharmacy nomination form you can either come to the surgery and complete the form at our repeat prescriptions desk or go to your pharmacy and complete the form. This service is especially useful if you wish to nominate a pharmacy close to where you work you will then be able to pick up your medications from that pharmacy. 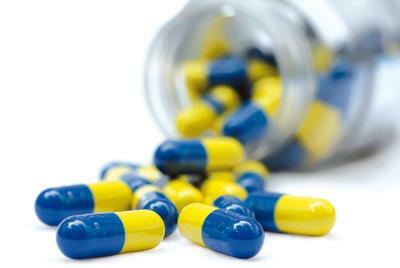 Repeat prescriptions are available only to patients who are stabilised on medication. Your condition will need to be reviewed from time to time by your doctor. How to register to use our on-line services. plus a current, within the last three months, bank statement or utility bill in your name or a council tax bill. or if you have no photo ID you will need to bring in two of the following -a current, within the last three months, bank statement or utility bill in your name or a council tax bill. We will photocopy your ID and activate your account for ordering repeat prescriptions and making and cancelling appointments which you will be able to use immediately, you will also be asked to complete a System on-line access registration form, if within this you request to see your medical records, your GP will need to confirm this access prior to this being activated.